It’s getting increasingly risky to use online services. You store a lot of your personal data in the cloud, and your credit cards are linked to accounts on retail websites. Hackers would love to get at your data, to empty your bank account, or to access your email account, using it for spam and phishing. And if someone can pretend they are you — steal your identity — they can cause innumerable problems to you and your finances. We also hear of an increasing number of data breaches, where major websites, stores, or services have entire databases of user names and passwords hacked. These databases are then traded on the hacker underground, allowing anyone willing to pay a few cents per name to access your accounts. And in some cases, they’re passed around for free. More and more websites and services are using two-step or two-factor authentication to provide an additional layer of security. This security technique verifies your identity when you log into a website by requiring you to both know something and have something. The thing you need to know is a user name and a password or a PIN; the thing you need to have is, these days, a mobile phone, but it could also be a USB dongle or other device that can generate one-time codes. RELATED: What is Two-Factor Authentication? You can find out if services you use offer two-factor authentication on the TwoFactorAuth.org website. 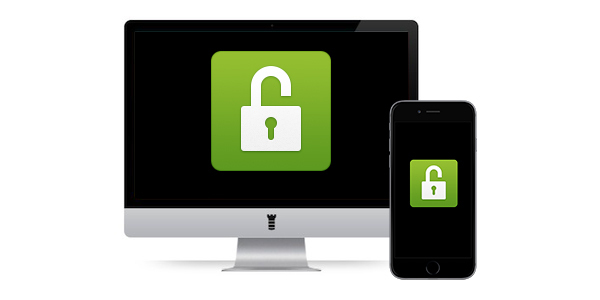 When you activate two-factor authentication for a website or a service, you generally provide your mobile phone number. (You can also use an app, but the phone is the most common method of using two-factor authentication.) Most forms of two-factor authentication ask you to sign in with your user name and password, and then enter a code that is sent to you via SMS. This method not only proves that you know something (the user name and password), but also that you have something (the mobile phone), which you have “registered” as a device to receive these codes. In most cases, once you’ve used two-factor authentication on a device, you won’t be asked to do so again on that device. Some services may only trust your device for 30 days or one year, and others may give you the option of trusting a device permanently. 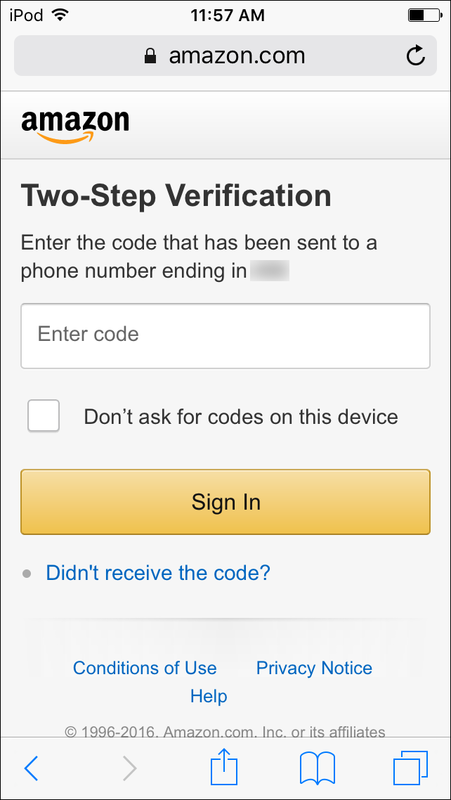 For example, if you have two-factor authentication active for Amazon, and want to buy something from Amazon on a friend’s iPad or a public computer, you’ll need to enter a code that Amazon sends to your mobile phone. But there’s a checkbox in the authorization dialog that lets you decide whether this device should be trusted in the future. If it’s your computer or phone, you’ll likely want to trust it; but, if not, that device won’t be able to log into your account again without getting a new code. 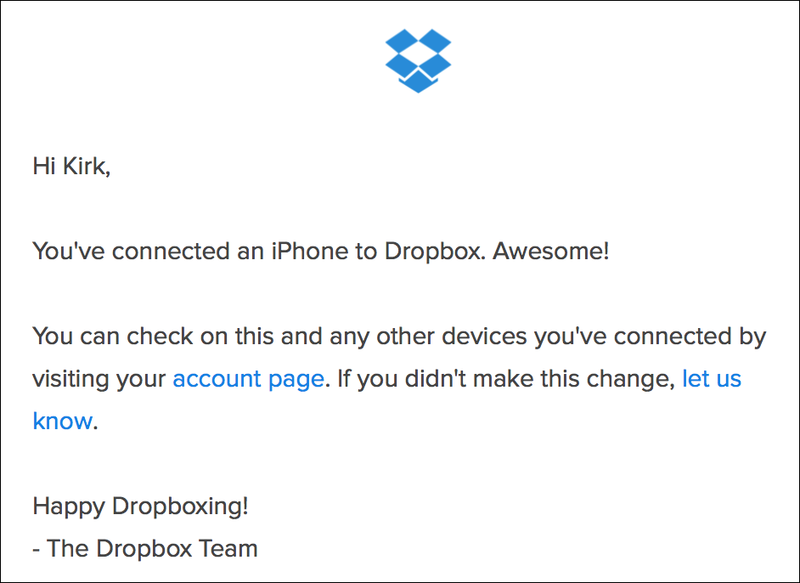 Apple sends you emails when a new device logs into your iCloud account, even if you don’t have two-factor authentication turned on. Your mobile phone is generally secure, especially if you use an iPhone with Touch ID. If you do, think about setting a long passcode (i.e., six characters, instead of just four), to ensure that, if your phone is lost or stolen, thieves cannot get access to your device. If they do, they can potentially access all your accounts, because they can receive the codes sent for two-factor authentication (this assumes that you have stored passwords and set your web browser to auto-fill them). One problem occurs if you lose your mobile phone; you can be locked out of certain accounts for a while. Some services let you set a backup phone number, which could be a friend’s or spouse’s phone, or even a landline, if you can receive text-to-speech SMSs. If you can’t do this, buy a cheap phone, and get a pay-as-you-go SIM, so you can receive SMSs when you need them. Naturally, your carrier will be able to port your phone number to a new SIM card, when you replace your lost phone, but this may take several days. The inconvenience of this is far outweighed by the added security you get when using two-factor authentication. For other services, check the TwoFactorAuth.org website; it contains links for each service to explain how to turn on two-factor authentication. It may take a few minutes to activate two-factor authentication for each service, but you’ll be much better protected. This entry was posted in How To, Security & Privacy and tagged Two-Factor Authentication. Bookmark the permalink. An authentication app like Authy is a heck of a lot more convenient than SMS. Use SMS as a fallback. An app like Authy allows sync among devices, so, I can use it on my phone as well as my iPad, if I want.